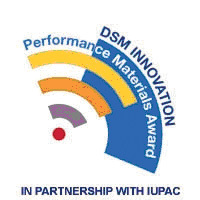 Under a new agreement, the IUPAC Polymer Division and DSM Innovation Center B.V. will organize a symposium on performance materials to be held during each biennial IUPAC World Polymer Congress. A Performance Materials Award in the amount of EUR 50 000 also will be presented during one of the plenary sessions of the congress program at each symposium. DSM will cover the cost of the symposium, including speakers’ fees and travel costs, and any technical equipment required. A six-member Nomination Committee will nominate candidates for the Performance Materials Award. DSM and IUPAC will each be represented by two members on the Committee, and DSM will also appoint two independent members. The Judging Committee for the award will be comprised of three members representing DSM and two members representing IUPAC. A DSM representative will chair both committees. The award will be presented at the next three World Polymer Congresses. IUPAC and DMS will evaluate whether future awards will take place.